This is one of the trendiest surveillance cameras of this year. Not only does it have the latest technology offered but it is also fun to use. It is used for more than just as a lookout for thieves. With its ability to provide sped-up versions of footage, two way talking, speedy zooming etc. it becomes perfect for keeping eye on your dog or your garden. All of its design and app are slick and neat. You can also control it through Apple HomeKit and Amazon Alexa. Works with Alexa, Google, and Apple. The app is neat and easy to use. The installation process is also easy. Provides 1080p HD footage with 180 degrees of angle. The new Logi Circle like the previous one is highly reliable. It is suitable for both indoor and outdoor. It’s extremely fun to use. Quick responses to every command. Could be better if it was wireless. Although you get 24 hours of free storage if you want more than that you have to get a subscription. This doesn’t exactly qualify as a ‘proper’ surveillance camera; it is more of a trendy and attractive looking camera that can be used for pet watching. It can also be used for security purposes. But since it’s most likely to stand out because of its eye-catching designs, we wouldn’t recommend it to be used where you want complete security. It, however, is the most stylish camera of this year and quite cheap when compared to others. It has a 1080p sensor with an advanced people motion detection feature. It has a 130-degree angle of view with incredible sound detection. The app isn’t just used for controlling the view of the camera but can also be used to control other devices like Active lights and Active heating thermostat. One of its unique features is that you can remove its head and place it where ever you want. This makes it very flexible and easy to use. Its new modular design allows you to shift the camera head to different rooms. The app is super easy to use with no complicated control functions. It has advanced motion detectors that are able to differentiate between human and non-human motion. The subscription is comparatively cheaper. It doesn’t have the advanced surveillance features that it should. The wireless option it has is rather limited. This indoor security camera that comes with face recognition is quite refreshing when compared to other companies. While other companies limit their device features so you have to buy subscriptions or more devices, this one is a once buy and get whatever you need the device. If you’re looking to get all the necessary features with free storage in one device this camera is the best option for you. With this camera, you don’t have to sign up for any extra monthly subscriptions. You buy this camera once and get free video storage thanks to the micro SD card support it has. You can also upload it to Dropbox or FTP. 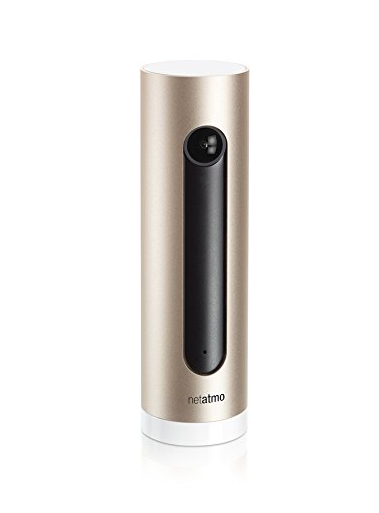 Most cameras only have mobile apps but Netatmo Welcome also comes with a web app so you can watch and manage the video clips from your computer. The camera has face recognition. Which means it not only records people that come in its 130-degree field of vision but is also able to recognize them. So when an ‘unfamiliar’ face enters its line of vision it immediately sends an alert. No subscription required instead stores all files locally on an SD card. Saves screenshots of all the videos as back up. Apart from the normal mobile app it also has a web app. The design is quite outdated so it might not suit everyone’s taste. It isn’t recommended for outdoor use. The light on it always stays on. It doesn’t support two-way audio because it has no loudspeaker. No Amazon Alexa or Google assistant support is offered. When the smart home concept first gained attention, surveillance cameras were the first devices to be given intelligence. And Canary was actually the first company to launch smart security cameras. With time it has kept up with the cameras introduced by other companies and managed to stay on the top. This new camera of theirs isn’t any less. It has special rare features. One of the best features of this camera is that it has sensors which can track the air, temperature, and humidity around it! This makes it far more capable than other security cameras. This allows you to create a pleasant atmosphere to live in. this feature can be managed from its app. It has a special 90+ decibel siren that makes it a far more serious surveillance camera than others. But it needs to be activated manually when you sense something is wrong. Among all these, it offers 1080p video footage, a view field of 147 degrees, motion alerts and night vision! The Canary app also allows you to dial the emergency number so you don’t have to exit the app and call manually. 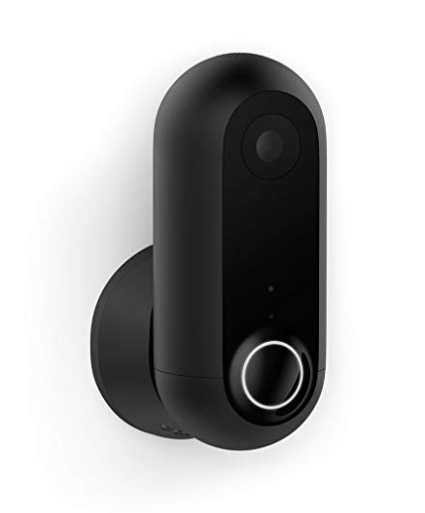 With a subscription, you can unlock other features this camera has to offer like night vision, a two-way chat, a web browser to view the surveillance on a desktop and a full month of video recordings! It gives you full 1080p video coverage. One of the very few cameras that offers air quality sensors. It has an alarm of 90+ decibels. Even its design is quite unique and cool. The app has a lot of cool features and is easy to use. It works with Google Assistant, Alexa, and Wink. For extra features like night vision, two-way chat, a web browser app etc. you need to pay extra money. The recording duration is quite short and provides no sub. It isn’t the most compact camera out there. 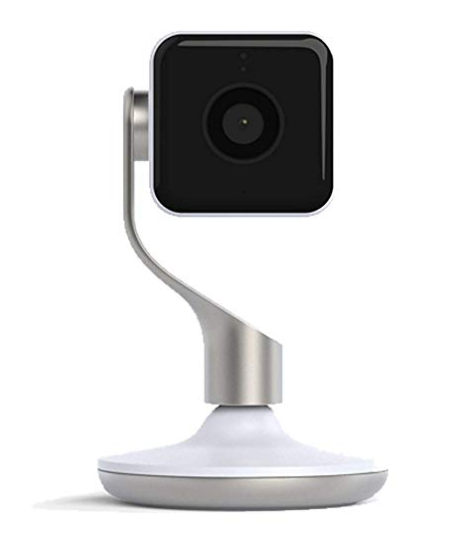 Canary offers another really trendy surveillance camera, the flex HD camera. 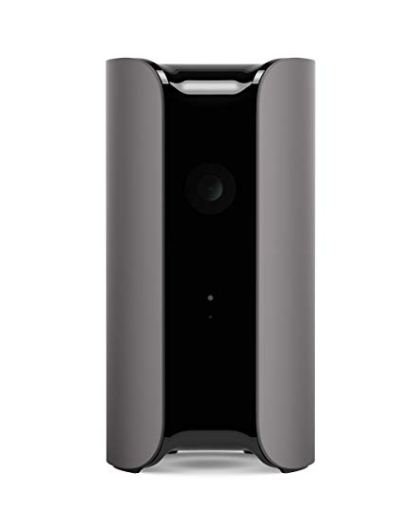 It has almost all the same features as the Canary Smart Security Camera but is more flexible. For example, it’s not as bulky as the smart security camera. It has extra features like the ability to work indoor and outdoor. Like its name indicates it makes surveillance quite flexible. It is clear as day even at night with its advanced night vision. Giving you the best outdoor security. If you want you can use its night vision indoors as well. Canary flex is smaller than all its other products making it easier to mount wherever you want. The battery is 6700mAh and should go on for 2 months before you need to charge it again. 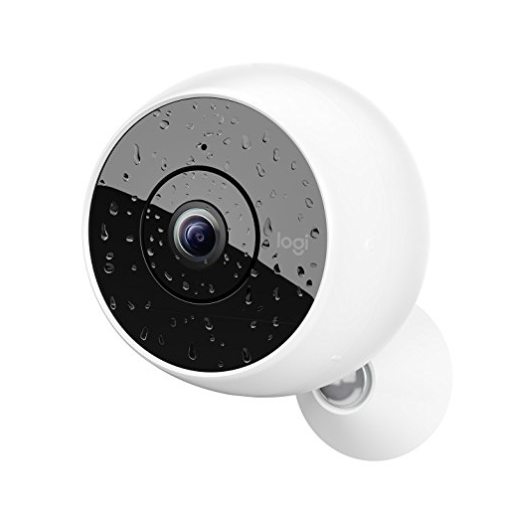 The image capture is of 1080p HD with 116 wide degree angles and also has motion detection. It works both with and without a wire. It operates both inside and outside. The design is really attractive and slick. The Canary app allows you to adjust the sensitivity range of the motion detectors to your liking. This way you don’t get alerted constantly. For extra features like two-way audio, you have to get subscriptions. It doesn’t offer any face detection. The smart home support it offers is slightly limited. The battery life it offers is very inconsistent. During battery mode, its motion-detecting becomes very unreliable. Surveillance cameras have become a necessary device to be installed in our homes nowadays. As the technologies are becoming more and more advanced each day that passes and new features are being introduced. You need to stay up to date with all these or you will get left behind. Surveillance cameras are also improving every year with more security options or new trendy designs or new fun features. These five are only a few top ones that fill all these categories for this year.